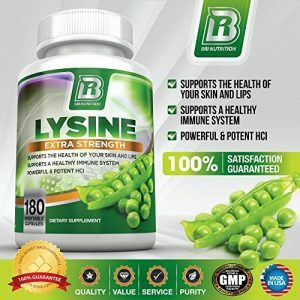 Lysine is one of those supplements you might or might not have noticed there on the shelf next to the multivitamins or Glucosamine, but unless you're a serious athlete or suffer from cold sores or Herpes Simplex Virus (HSV), you might not know what it is or for. 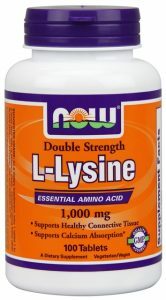 Lysine is an essential amino acid, also known as a building block of protein. And what that means is that our bodies use it to build other important things, like antibodies, which aid in supporting a healthy immune system. 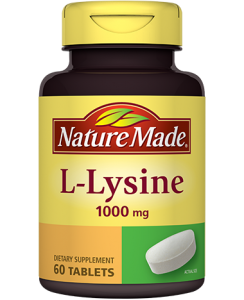 We don't produce Lysine naturally, but rather derive it from proteins we eat, like beef, chicken, or tuna. Many products Are Not Effective at all (such as this one here ), so you have to be careful while choosing the brand. 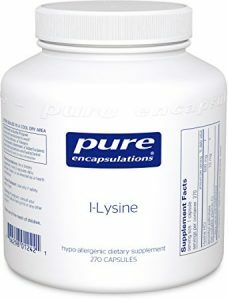 This is a straight up, no nonsense, high quality Lysine supplement. No additives, and no extras. If you buy the larger bottle, containing 270 capsules, 500 milligrams each, it'll run you just under 30 dollars. Big winner here, for a very important reason: cost. You can pick up a bottle of Bri Nutrition that contains 180 capsules (500 milligrams) for under 20 dollars (about 14 to be exact). Nature Made is a name you can trust when it comes to vitamins and supplements. They're always 100% natural. Their tablets are gluten free, and contain no artificial flavors, colors, preservatives, or yeast. They also offer a higher potency tablet--1,000 milligrams--for added immune health, in addition to the more standard 500 milligram tablets. Quantum Health is a top provider of supplements. They include in their base formula, vitamin C, Echinacea, licorice, propolis, and odorless garlic, which provide significant immune system benefits. They are a leader in producing best Lysine supplements, and make an effective ointment, for double the benefit and easy application to lips and skin for immediate protection. They also produce a Super Immune+ Power formula version, which includes olive leaf and astragalus extracts, immune-boosting herbs, which give whatever your existing cold sore regimen some extra fire power. These herbs are an excellent source of immune protection, and if you suffer from cold sores or HSV, using the Super Immune+ Power in addition to the Super Lysine and ointment can shorten the duration of the outbreak quickly and prevent future recurrences. Now Foods, like Nature Made, is a well-known brand you can trust. Their supplements are also available in both 500 milligrams and 1,000 milligrams, super supplement tablets for immune boosting. They're all natural, pure, gluten free, and contain no wheat, corn, soy, sugar, yeast, salt, or preservatives. Many people who suffer from genital herpes find Lysine aids in the prevention of outbreaks and severity of symptoms. 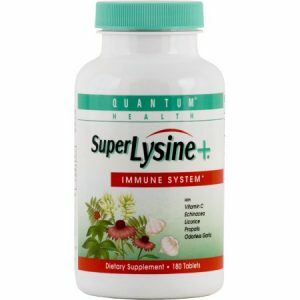 Research supports that Lysine reduces the chances of outbreaks occurring, and it's one of the only supplements available for HSV sufferers. It's important that it be taken regularly, but once in the body and kept at a minimum level, it has shown to reduce recurrences and improve the symptoms once they've onset. Many people who suffer from HSV report complete recovery and an absence of outbreaks all together when they introduce and keep up on a regular ingestion. Like HSV, many cold sore sufferers report that when they take it regularly, they experience cold sores less frequently, they last fewer days, or they cease to recur at all. Athletes are among the largest consumers because it aids in the recovery of muscle tissue after stress. So, after a weightlifting session or a soccer game, taking it can speed recovery and assist in muscle-building. One of the benefits of Lysine is that, once in the body, it aids in the absorption of calcium and reduces the amount eliminated naturally. Because strong bones rely heavily on the presence and duration of calcium, many researchers believe it can help prevent bone loss, which is a major contributor to osteoporosis. It contains two sub-compounds, D- (dextrorotatory) and L-(levorotatory), but because our bodies only use the L- part of the protein for metabolic purposes, it is usually shortened to just Lysine. It's not uncommon to find complex supplement, which usually contains a mixture of vitamin C and Zinc, often with added bioflavonoids. L Lysine and vitamin c benefits includes: staving off or minimizing the duration of cold sores and Herpes outbreaks, boosts the immune system and maximizes the absorption and efficacy of vitamin C.
So, whether you've noticed that row (or two) of Lysine, there's a good chance you will now, and not only that, you'll know its benefits. Here are a few brands that top the list.